This weekend is a long weekend with Monday being Labour Day. Labour Day is the first indicator of the end of the summer and that means back to school for most students. 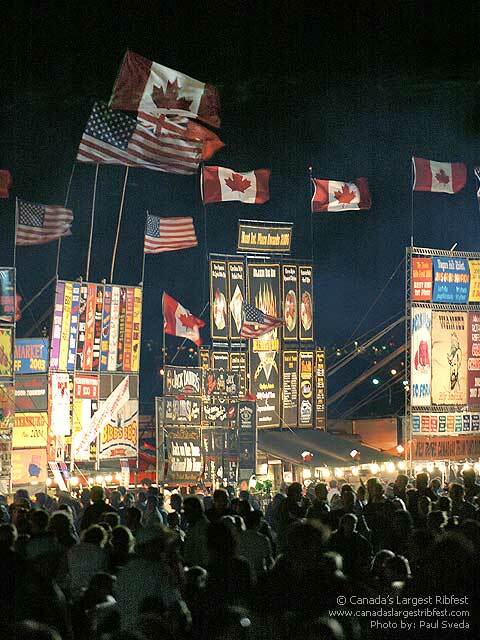 For me, however, the Labour Day weekend means Ribfest! Every year a number of restaurants from across Canada and the United States compete against each other on the shores of Lake Ontario at Spencer Smith Park in Burlington, Ontario. Over 100,000 patrons come through the park gates over the course of the weekend to listen to live bands, browse the craft stands, drink beer, and of course eat ribs! Prizes are given for the best ribs, best sauce and best roast chicken. Once the Blue Ribbon winner is announced for the best ribs people will wait in line for hours just to get a taste. My friends and I usually split up and everyone orders a half rack from different vendors. Then we meet in the beer garden and share a rib or two so that we can all taste a variety of ribs. Go to the Ribfest website to learn more. After Ribfest on Friday night I am going to purchase a canoe from a river tour company as I mentioned in my Buying a Canoe article. I’m hoping to get a fairly decent deal on a canoe that is not too banged up and damaged. I’ll see if I can get the guy to throw in a couple of paddles and roof rack kit. That’s as good as I get when it comes to negotiating. Once I get my canoe I’m off to Lake Simcoe. Friends of mine have a family cottage there and have invited my wife and I up for the weekend. Simcoe is a pretty big lake so the waves might be too much for a canoe, but I’ll give it a try anyway. That’s pretty much the plan for the weekend. Eat a lot of meat, drink a lot of beer, play some bocce ball, and just have fun! I hope your long weekend is just as enjoyable.